Here’s our fantasy premier league GW14 captain poll for you to say who will be your captain this week. There are also the polls for who you are planning on transferring in and also for who you are transferring out in the gameweek. The early indications are that Hazard is going to be fit for the GW14 game. Why would Hazard be transferred out if he is going to play at home to Fulham? His poor form has come against elite competition and now 8 of his next 9 are weak competition. Does everyone forget he plays every minute for the new aggressive Sarri ball that led to a 20 for him a few weeks ago? Incredible how the transfer outs work with people. If he is for sure hurt, I totally get it. But is that confirmed yet? How could you transfer him out before that? Fitness. Form. Rotation Risk. That’s why. “I think that this week it is useful for him to have training. And then we will see. Of course, I think he cannot play 10 matches in 29 or 30 days. So sometimes he has to rest. Hazard gets transferred out for Sterling. One is on fire, one isn’t. And Hazard is a slight injury risk. Personally my two mini league rivals have Sterling, and it’s beginning to hurt. So his transfer in is also a shield for me. If he is fit to play then it’s a little non sensical to dump him with an upcoming home fixture against leaky Fulham. I understand the Sterling shield, but if Hazard starts and returns big then it’s gunna hurt more than Sterling returning. I am likely transferring hazard in amd thinking of captaining him. What does everyone think of sterling playing deeper in the lyon game as gundo and bilva are injured. I think sane plus $$$ may be a better choice as per Geek’s stats and more game time as mendy is out long term and also was taken off on 70 mins in lyon. Good luck all! considering his injury as well as unstable form Hazard needs to be replaced but by whom ? Ensuing four weeks’ fixture suggests armband should go to Sane. Ronjeet… the obvious choice is Sterling as we have been discussing. But Sane also good and considerably cheaper. Ming… If Hazard is playing I just cant make that swap to Sterling this week. 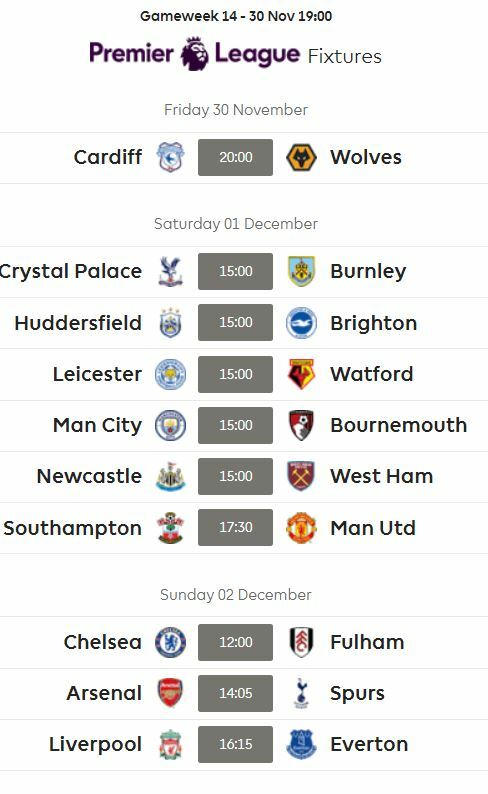 This is the fixture you want Hazard for. 15 – 20 point haul potential. I would captain too if I 100% knew he was starting. But with the doubt I will be sticking with Aguero I feel. Ian … I think u misread I am transferring hazard in (for mane). I havent owned hazard all season as the week he hit 20 (week3?) i transferred alonso in! Also probably more happy to take the punt than others as i plan to wc week after.